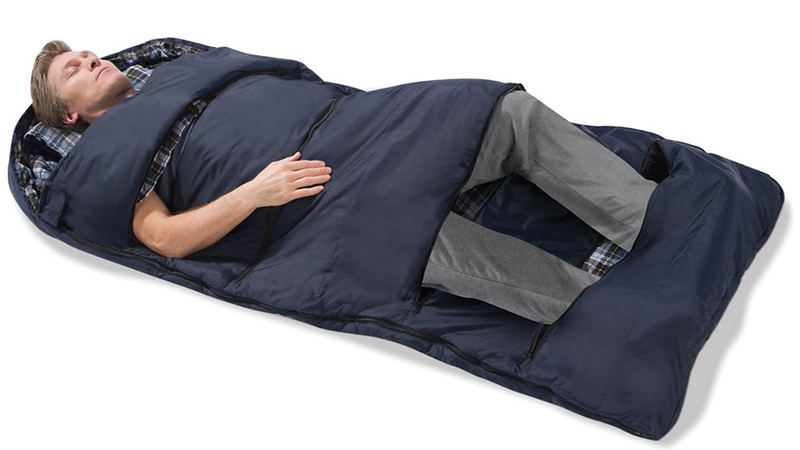 It turns out the tried-and-true technique of simply unzipping a sleeping bag when it gets too hot inside wasn't good enough for some people. Someone, somewhere, demanded more options, which led to the creation of this vented bag. 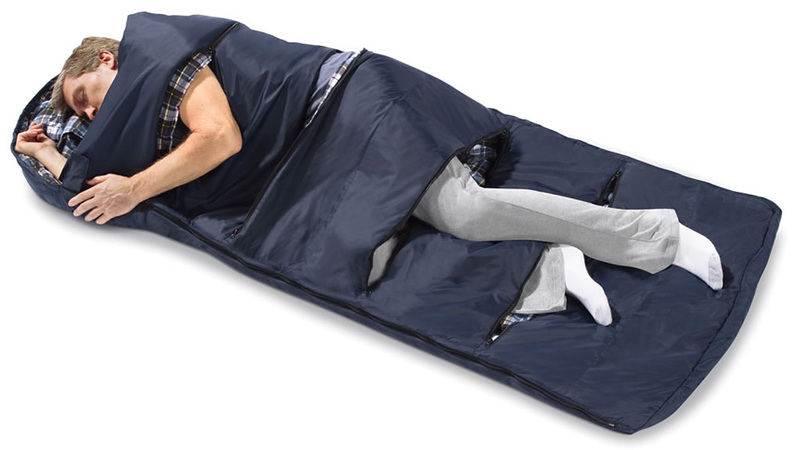 In addition to a long zipper running up the edge, this $US120 sleeping bag has four or five additional zippers running across it, allowing a finicky camper to decide how much of their body they want to leave exposed. The creation looks like it would function better as a straight jacket than a way to stay warm when roughing it, but it's got enough microfibre insulation to keep you toasty down to -6C. We just can't help shake the feeling that this was somehow designed by hyper-intelligent mosquitoes hoping to leave humans vulnerable to attacks all night long.